There are so many different designs of spoons that it’s hard to know where to start with your collection. If done cleverly however, you could turn your hobby into a money maker. If you’re looking to take this up seriously you’ll be glad to hear that spoons have been produced in very large quantities, have a rich and long history, and are readily available to the collector. Collectable spoons can be found from as early as the 14th century, with anything from the 17th century onwards still being easily affordable. Typically the earlier the piece the more expensive it will be. Before beginning your collection it is best to start researching and thinking about how you might want to collect; do you want to collect by date, maker, origin or type? Upon researching different periods you may find that you are drawn to a certain style or era that you would like to concentrate on. This can be done in two ways: building a collection representing the period or collecting the date letter for every year within that period- the latter of which can be quite a challenge! You may run into certain issues such as the rarity of pieces from the earlier periods. The 19th century would of course be a lot easier. See our British silver hallmark page to help you further with identifying your collectors’ items. Still not sure about collecting by date? 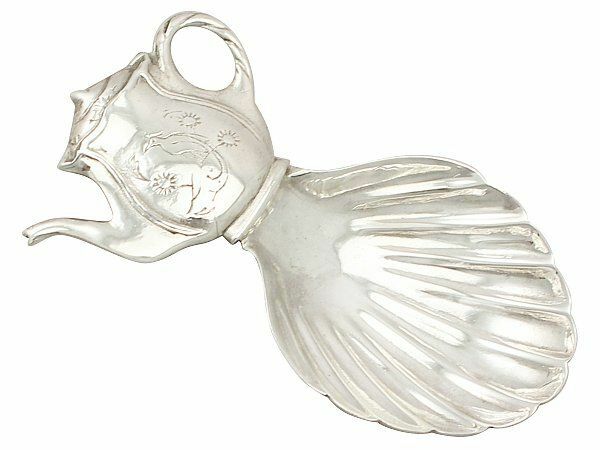 Let’s consider it more generally, if you’re looking to collect early sterling silver spoons you could opt for anything pre-1720. Anything which is 100 years old is classed as antique and when it comes to spoons, age equates to value. Of course, this will mean that antique spoons will be more expensive to collect. Finding the right one with the right price tag however, could see you with a very handsome return. But perhaps you would prefer to collect by origin? Personally I have a few Newcastle silver pieces due to my Northern heritage. What a lot of people choose to do is collect from the town or region in which they live or where they were born. This can be very interesting as it helps you to learn about your local area and get an insight into its history. I would urge all amateur collectors to get down to their local antique markets to help get a feel for what they are looking for. I would also recommend investing in a hallmark book to help you identify what marks you are looking for. Until then, see our help and information pages for hallmarks and assay towns. Spoons originating from highly collectable provincial centres such as Leeds and Norwich generally fetch high prices due to the fact that they would have been crafted pre 1700. Other provincial spoons which are more readily available are those of Scottish and Irish silver these were crafted up until mid-19th Century). 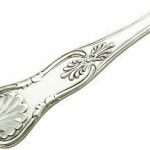 One type which has seen quite a considerable increase in popularity is the Caddy spoon, the history of which is very interesting. These can be quite expensive; however it really depends on the era you are buying from. Caddy spoons would certainly make for a very diverse collection. 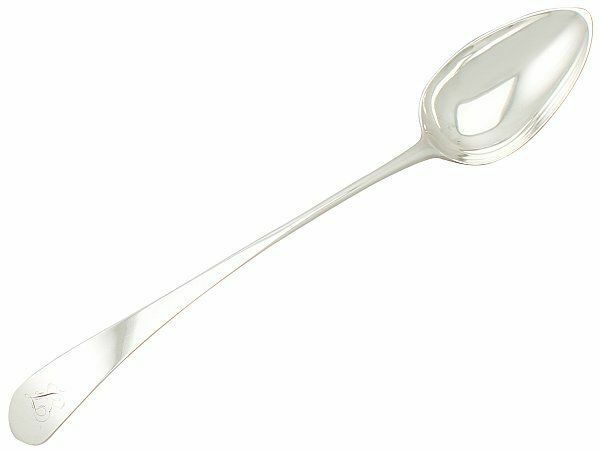 Other types which are not as expensive to collect and quite easily found include condiment spoons. Basting spoons on the other hand are a fairly expensive type, but they are easy to find and make a great addition to any collection. 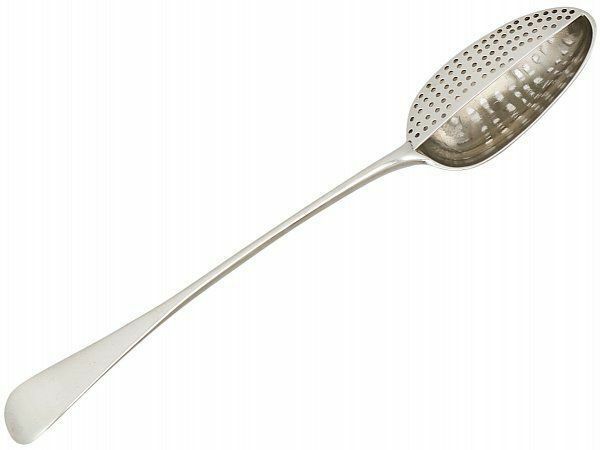 Other rarer types include mote and medicine spoons. 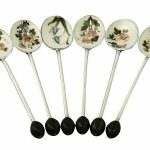 I feel that the silver spoon can be taken for granted, but by looking into collecting antique silver spoons and seeing how their shapes and patterns evolve can help us learn so much about the past. 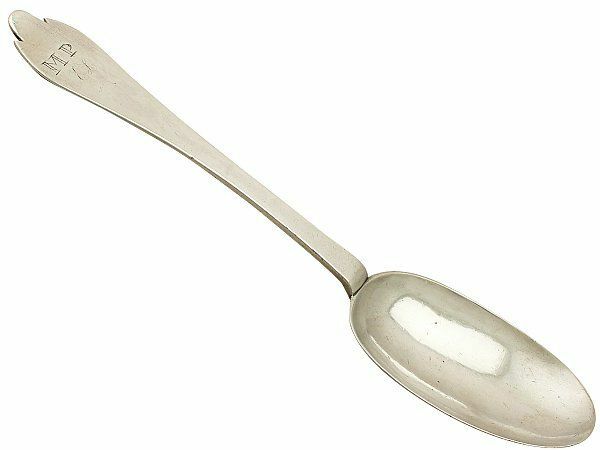 Spoons are classic pieces of flatware which are used every day, but this item made in silver showed stature in older days. Why would you start to collect? 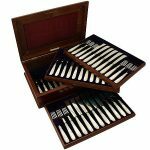 For love of history, patterns, makers or for good old fashioned sentimental reasons? Please do share your finds with us and let us know what you have become a collector in!